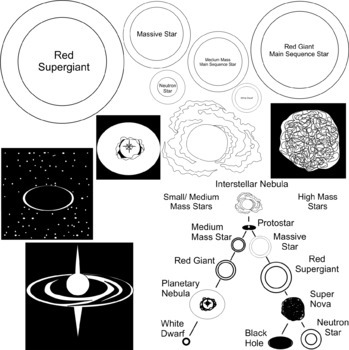 This 51 piece Life Of A Star set will help teach students the different types of stars, and different stage that stars go through as they develop. 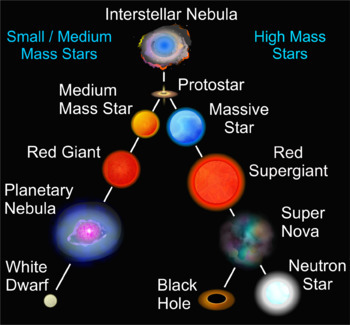 Show students about proto stars, red giants, white dwarfs, black holes, and more. This set includes 19 PNG color illustrations, 16 PNG gray scale black and white versions and 16 line versions. These are high resolution (300 dpi) transparent background graphics. No watermarks will appear on the files that you download. 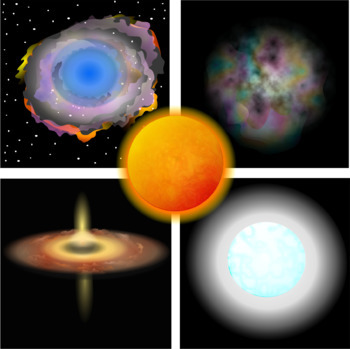 These graphics can be used for both personal and commercial use. Crediting Studio Devanna may be done either by reference or by linking to the shop. If you have any questions, please contact us. We're always happy to help. 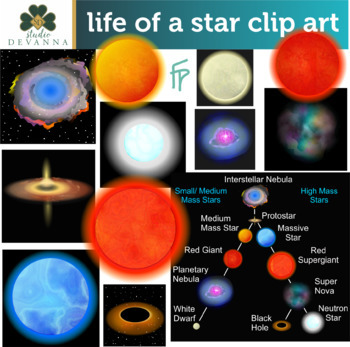 <strong>Be the first to know about new clipart, freebies, and sales -</strong> just click the green star at the top of the page next to the Studio Devanna logo. This will enable us to send you notifications of products as they are uploaded to the shop. Check us out on <a href="https://www.facebook.com/studiodevanna/">Facebook</a>;!